The energy efficient AVR900U line interactive UPS system is perfect for protecting equipment like desktop computers, point of sales systems, wireless routers, and modems in your home or office. It provides reliable battery backup during power failures and protects against surges and line noise around the clock. This affordable 900VAUPS also includes an advanced feature called automatic voltage regulation or AVR. During brownouts and other power fluctuations, AVR prevents abnormal voltages from damaging your equipment or causing malfunctions. AVR does this without draining battery power, so your battery will be ready during an outage. If you'd would like to change UPS settings or review power conditions with your computer, simply connect the UPS to an available USB port. During extended power failures, free power alert UPS monitoring software enables graceful unattended shutdown without data loss. You can also use your computer's built-in power management tools. 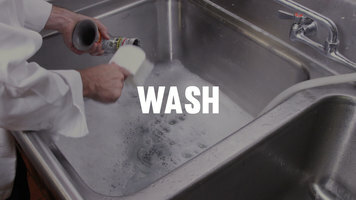 The UPS includes surge protection for your phone line to protect fax machines, dial-up modems, DSL modems, pay-per-view connections, and telephone systems. If you want an easy-to-use economical UPS with AVR and phone line protection, order TRIPP LITE's AVR900U. 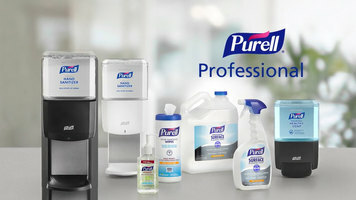 Designed for use in locations where aesthetics and cleanliness are both important, this professional-specific line of products from Purell helps fight the spread of germs. Watch this helpful video to learn just how simple it is to wash your Hamilton Beach wheatgrass juicer! Finally, someone has created a smart blender to take the guesswork out of blending! 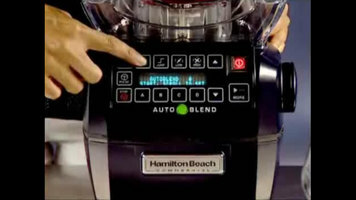 The Hamilton Beach Summit Blender features an Auto Blend one-touch sensor that will sense when your drink is perfectly blended and automatically shut off.